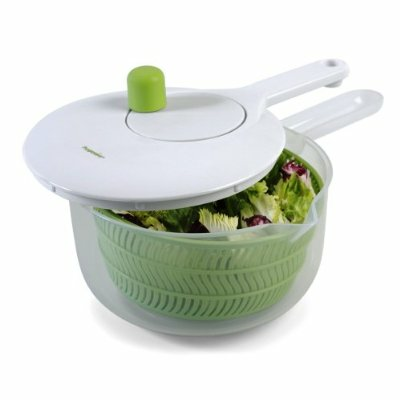 This Progressive 2-1/2 quart salad spinner has a long handle design for easier control. Great for washing and drying fruits and vegetables. Pour spout is on either side which makes it great for left or right handed user. Separate basket makes for easy washing. Dishwasher safe.